Dr. Krista Lewis is an Associate Professor of Anthropology, a member of the Middle Eastern Studies faculty, and Chair of the Department of Sociology and Anthropology. Dr. Lewis’ research investigates the relationship between trade, food, politics, landscape, cities, and environment from prehistory to the present. Her research specialty is archaeology in the Middle East, specifically the southern part of the Arabian peninsula. Dr. Lewis directs two major international archaeological projects in southern Arabia, in Yemen and Oman, in the UNESCO World Heritage Land of Frankincense. 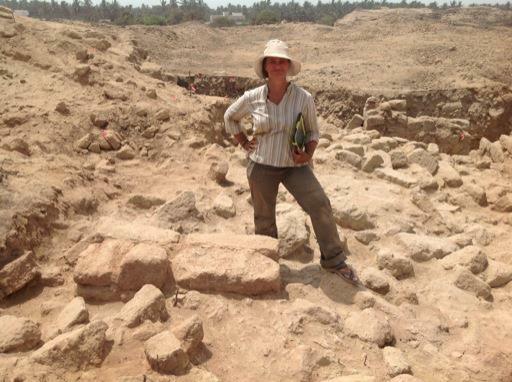 Her archaeological research investigates the role of the people of the Arabian Peninsula in international Indian Ocean trade routes and the spread of agricultural techniques and culinary innovation in pre-Islamic through medieval Islamic times. Dr. Lewis has also conducted archaeological fieldwork in the United States and central America. Dr. Lewis teaches courses in archaeology, food and culture, urban anthropology, and modern middle eastern cultures. She is also a faculty advisor for the campus garden. Dr. Lewis received her Ph.D from the Department of Anthropology at the University of Chicago in 2005.